Have a Facebook account? Drop by and ask a question, make a comment, whatever you like. Have an Instagram account? Comment or DM away! If you have Anguilla-related questions, or just wanna chat about anything Anguilla, contact me through Instagram, Twitter and Facebook via the links above. Or, leave a comment on this page. If you are an Anguilla Card Holder, contact me via the email address provided in your post-order email. For business enquiries, contact me via the form below. 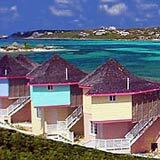 Click here to see the rest of the form and to ask your Anguilla vacation questions. I have received so many questions about Anguilla that I have sorted them into different sections, which you can see below. 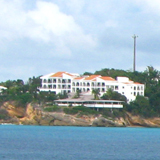 If you have a question about Anguilla hotels, for example, just click the Anguilla hotels link below to see Anguilla hotel-related questions from other readers. And, to submit your own question, simply use the form above.